Join us in Vancouver and be inspired. QuickBooks Get Connected will bring like-minded accountants and industry experts together for one day of thought leadership, networking and practical advice that will give you a competitive edge. Move to the cloud, market your practice and stand out – with QuickBooks. If you're new to the apps ecosystem and aren't sure where to begin, this session is for you. In this session, you will be guided through a collection of apps to consider implementing within your practice. After you become a pro with these apps, you'll be ready to implement them for your clients and have the confidence to evaluate other apps for you and your clients. In this session, we will demonstrate 5 of the hottest feature enchancements added to QuickBooks Online/QuickBooks Online Accountant in the past year. There may even be a couple of bonus features! In this panel discussion, CPA firms will illustrate how cloud applications are improving workflows in CPA practices and show how their clients are benefiting. They will also share their roadmap for moving CPA firms into the cloud. Ever wonder if there's a more efficient way to enter a transaction or manage a rare scenario in QuickBooks Online or QuickBooks Online Accountant? In this session, you will learn about several QBO productivity tips and tools within QBOA to help you manage your practice. It's time to dust off your T2 knowledge because the filing deadline is upon us! in this session, you will learn how to file the most common T2 scenarios using Pro Tax, supplemented by a few scenarios in ProFile. This is also an opportunity to hear about CRA changes that'll impact your T2 filings, and learn where to find helpful training resources for filing taxes using Pro Tax and ProFile. Are you wondering how to become a trusted advisor by offering advisory services to your clients? What does a conversation with a client really look like when you're pitching your advisory services? Join us for this session to see how it's done! You're ready to grow your QuickBooks Online practice, but how? This session includes an actionable plan for having cloud conversations with the right prospects, converting data, onboarding clients and securing resources for successful migration. 4:00 PM Main Stage closing keynote: Details coming soon! 6 PM Celebration event: Join other attendees at the Get Connected celebration on Tuesday night at The Nest. Enjoy food, drinks, music, and performance. A shuttle will be available at the end of the celebration to take you back to the hotel. Our partner hotel offers discount rates for Get Connected attendees. NOTE: A shuttle bus will be provided from the hotel to The Nest in the morning, running every 30 min starting at 7am. A return shuttle will be running from The Nest back to the hotel. Vikram Vij was born in India in 1964 and lived in New Delhi and Bombay until the age of 20, when he went to study, live and work in Austria. Vikram moved to Canada in 1989 to work at the Banff Springs Hotel in Alberta. In September 1994, Vikram opened Vij’s Restaurant in Vancouver, BC. In early 1995, a passionate and a creative Meeru Dhalwala joined him, and the two began collaborating on the menu. In 2004, Vikram and Meeru opened a second restaurant and market called Vij’s Rangoli. In June 2014, Vikram opened his third restaurant, My Shanti, based in South Surrey. The theme of My Shanti is based upon Vikram’s culinary travels, and includes flavours, ingredients and influences from all over the world. Vikram Vij is a tireless advocate of Indian cuisine in Canada, and of buying and eating locally produced and sustainable ingredients. He considers it an honour to be able to speak about his life, his experiences and his background to audiences around the world. Over 20 years, Graham Sharples has built a record of delivering delightful product solutions across wide range of industries. 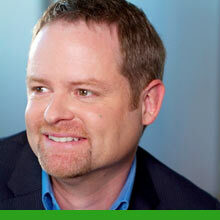 Today, he is the Canadian Head of Product for Quickbooks Accounting Solutions and Intuit Professional Tax solutions. A passionate advocate for accountants, bookkeepers and tax preparers, Graham’s team continue their push to develop unique solutions that solve big problems through partnerships with accounting professionals like you. Originally from the West, Graham has settled in Toronto, where he lives with his wife, their two sons, dog and cat. 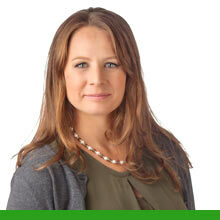 Melika Hope is a passionate and dynamic member of the Canadian accounting community. She began her professional career at RSM Richter LLP where she earned her Chartered Accountant designation. She then pivoted to the software industry, gaining experience with desktop accounting products before moving to Intuit where she has been managing the QuickBooks Online and Self Employed products for the past several years. Melika is a self-employed personal trainer on the side and is a passionate advocate for the success of the small business and self-employed industries in Canada, leveraging the partnership of accounting and bookkeeping professionals and the power of cloud technology. Scott Zandbergen is a 20-year veteran of the accounting software industry. He is now head of product for QuickBooks in Canada and represents the “voice of accountants and bookkeepers” on the Canadian senior leadership team. While his experience has spanned across various organizations, Scott has always remained dedicated to accountants and bookkeepers, leveraging his knowledge of accounting technology as well as the small business market to empower these professionals. Scott lives in Georgetown, along with his wife and their two daughters. 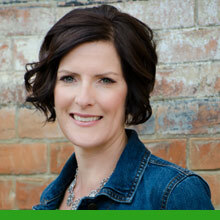 Tanis Young is the founder of Maven Bookkeeping Inc located in Okotoks, AB where she journeys alongside her clients to bring life to their finances. Her credentials include Certified Professional Bookkeeper (CPB), Certified Financial Planner (CFP) and Pro Advisor for both QuickBooks Desktop and QuickBooks Online. Tanis has a passion for education, proudly wearing the “trainer” hat for Quickbooks Online and coaches accountants, bookkeepers and small business owners across the country on the power of clouding accounting. Work / life balance is of top priority so if she’s not in her tourquoise office, Tanis can be found on her road bike, hiking in the mountains or walking her fur-baby Skoki. Helina Patience is CEO and Management Consultant at Entreflow Consulting Group. She has long-term international experience in finance, training, and HR management. Helina managed HR and compensation for multi-national corporations before working as a Financial Analyst at Lululemon. She's worked in Australia, India, the UK and Ireland over the years. She joined Entreflow two years ago and quickly rolled out Financial, HR and Systems consulting services to add to the existing Marketing services. She runs a team of 15 remote consultants dedicated to innovative, tech-focused and goal-crushing consulting. She enjoys all aspects of financial management and analysis, business decision support, and the compensation and motivation aspects of human resources management. Helina holds a B.A. (hons), B.Ed and a CPA, CMA accounting designation. Christian Madarasz is a CPA, CMA located in Parksville, British Columbia. Christian began his accounting journey in 1988 working in a progressive Chartered Accounting firm. In addition to being a CPA, Christian also possesses a Bachelor of Education degree and is currently teaching online business courses through North Island College. Christian possesses a drive for knowledge and considers himself a “life long learner”. Because of this, Christian was a very early adopter of cloud technology in his business and was quick to join up when Quickbooks Online began providing services to Canada. He has experience with other online accounting platforms, but he considers the QBO platform to be the foundation of his accounting and bookkeeping practice. During his career and as a member of the Intuit Trainer-Writers Network, Christian has been asked to speak in front of different groups including entrepreneurs through Start-Up Canada, small business owners through local Chambers of Commerce, accountants through fireside chat settings with Intuit, and a variety of other business owners through various mentoring and education programs. 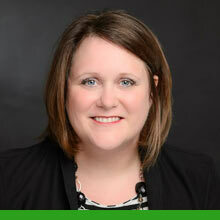 Martha Banner is the Western Regional Cloud Lead at Grant Thornton LLP and holds her CPA designation. She has been working with clients in the cloud accounting space since 2015 and is a full believer in the power of accurate, timely data. She thoroughly enjoys the lightbulb moments from her clients and colleagues when they learn about what cloud accounting can do for them. Bob Wang is the founder and President of Legacy Advantage. Bob went into business for himself in 2015 with a goal of creating a bookkeeping brand people can trust. In two years, they grew to 15 staff, over 1m$ in revenue and just opened up a second office. Musician, Author, Chartered Accountant, world traveller, technology nerd, husband, and proud dad to two beautiful girls ... you could say Jason Hastie is one busy guy. If you'd ask Jason, he'd just say he's somewhat "unfocused" but all that know him understand that he is a serial entrepreneur at heart who is driven by passion, discipline, and adventure. Jason grew up near Birsay, a small farming town of 68 people in Saskatchewan, Canada. Jason attended the University of Saskatchewan where he completed both his Bachelor of Commerce and Master of Professional Accounting degrees. He then obtained his Chartered Accountant designation and moved to Calgary in September 2002. After moving to Calgary, Jason decided to pursue another passion of his and he 'hit the stage' so to speak. Currently, Jason and his band have three Top50 hits on Canadian country radio and have had appeared on Entertainment Tonight, CMT, and Canada AM. Jason has also remained doing small business accounting for over 15 years. When he recently saw an opportunity to combine his love of technology with helping small businesses on a large scale, he jumped at it and started TenjaGo. Today, TenjaGo is helping businesses across Canada simplify their accounting while learning how the right financial information can help them grow to levels they've never dreamed. What do the words “counselor,” and “accountant” have in common? They’re both synonyms for Melanie Schroeder! As a Registered Professional Counsellor and a Chartered Professional Accountant (CPA, CGA), Melanie discovered that her personal and professional passions lie in helping others embrace theirs. A sole practitioner, her experience includes over 15 years in public practice where she specializes in tax, training and coaching. Melanie embraces the philosophy that life is about more than hard work and number crunching, it’s about embracing your full potential and living to the fullest. She believes without a shadow of a doubt that each of us deserves a life that we love, both personally and professionally. With her unique skillset, she’s here to help her clients answer the question: what are you here to do? 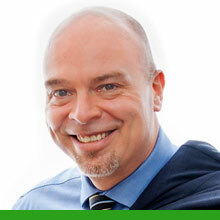 James Young, CPA, CA is the founder and partner of his CPA firm. For over 20 years, his firm has provided business advisory services to owner managed businesses. It is located in the Greater Vancouver area of British Columbia. Traditional business advisory services included personal / corporate tax planning, Canada Revenue Agency compliance work and advice on business matters. Starting in 2017 James began onboarding cloud based applications (QBO and others) within his firm and for his clients. Leveraging the advantages / benefits of cloud applications have streamlined his firm’s workflow and helped make his clients’ businesses more efficient. By integrating 20 years of business advisory wisdom with the new world of cloud applications, James is excited about the future. He is excited to see how this new world of cloud applications will transform his CPA firm and his clients’ businesses. We'll continue to update you with new content. Come visit us again. Want to know more about QuickBooks?